Jim Nollsch and Hayden Fisher have been named as the newest additions to the Cure Arthritis Ambassadors. 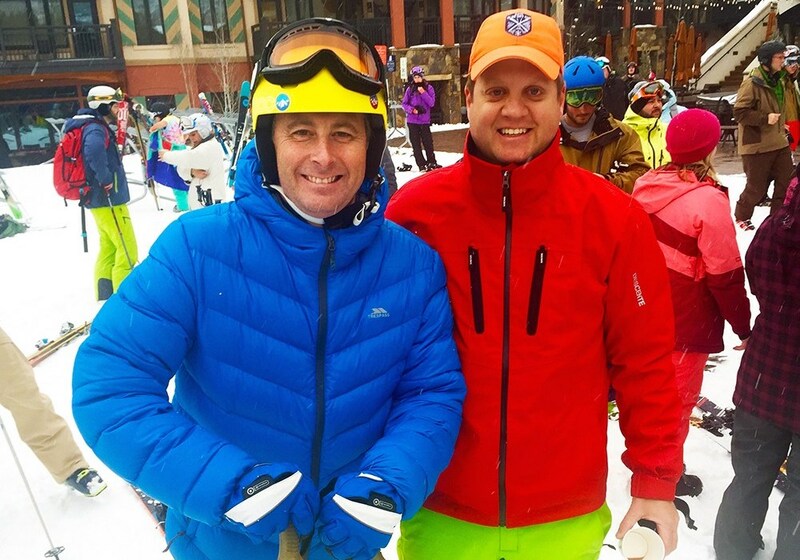 Jim Nollsch and Hayden Fisher are the co-founders of the Blue Sky Cup, an annual event in Vail, Colorado, where teams compete to ski up to 40,000 vertical feet in a day to raise money for rheumatoid arthritis research. The Blue Sky Cup started out as a humble get-together to celebrate Hayden’s 40th birthday. As such it was originally named the “40-for-40 Challenge”. As more people showed interest in their challenge, they decided to create the Blue Sky Cup. As the yearly gathering continued it’s growth, the pair realized they could use their platform for a greater cause. Inspired by Jim’s battle with rheumatoid arthritis (RA), the duo decided to collaborate with the Arthritis National Research Foundation in 2015 and donate the proceeds of the Blue Sky Cup to support rheumatoid arthritis research. Jim was diagnosed with RA in his 20’s and with the help of modern medication, he remains relatively pain free in remission today. But he knows many are not as lucky as he has been. “Not everybody is that fortunate, so this is a way we can give back and fight for those people who are struggling everyday with the disease” he says. Jim’s father and late grand-mother were both diagnosed with RA, so the cause is close to everyone’s hearts. This year, on February 9th, teams of four or more people will take to the slopes to compete in the Blue Sky Cup. Teams will strive to ski as many runs as possible including all the back bowls while completing various challenges in an attempt to reach 40,000 vertical feet each in one day. The record for the cup is a mind boggling 60,000 feet. However, even though competitors will be pushing the limits, the most fun part of the day is that everyone is themed in amazing costumes, reminding us all that event a competitive event needs to be fun. 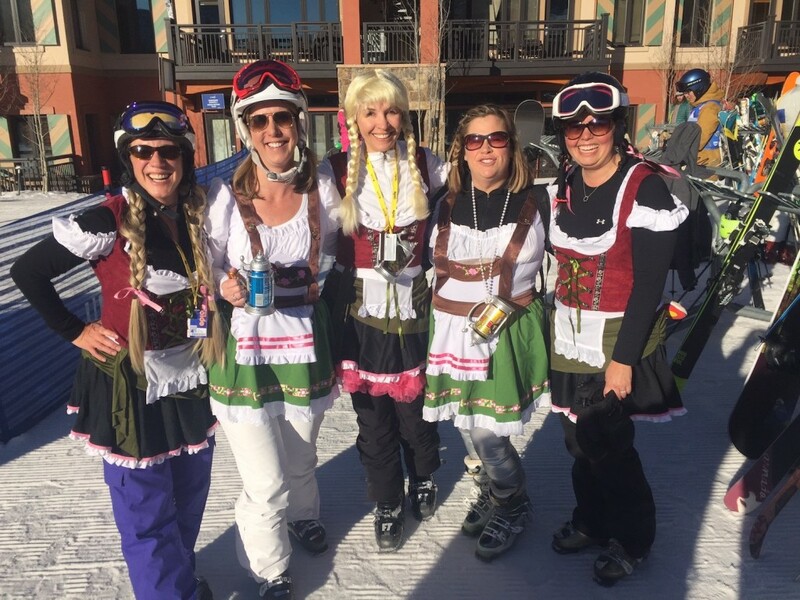 And don’t think that you only have to be an extreme skier to compete, the “Baby Blue” division of the event is for all skiers who are looking to have fun, push themselves and give back to arthritis research. Jim and Hayden have chosen to represent and give back to the Arthritis National Research Foundation in an effort to continue funding grants to brilliant, young scientists in the field of arthritis and autoimmune research. The Cure Arthritis Ambassadors consists of arthritis advocates, dedicated to using their platforms to educate the public about arthritis and make a difference. The Foundation is honored to have the Jim Nollsch and Hayden Fisher join the team of Cure Arthritis Ambassadors. When they’re not skiing, Hayden Fisher and Jim Nollsch can often be found making appearances on local TV stations and on Twitter and Instagram promoting the Blue Sky Cup. 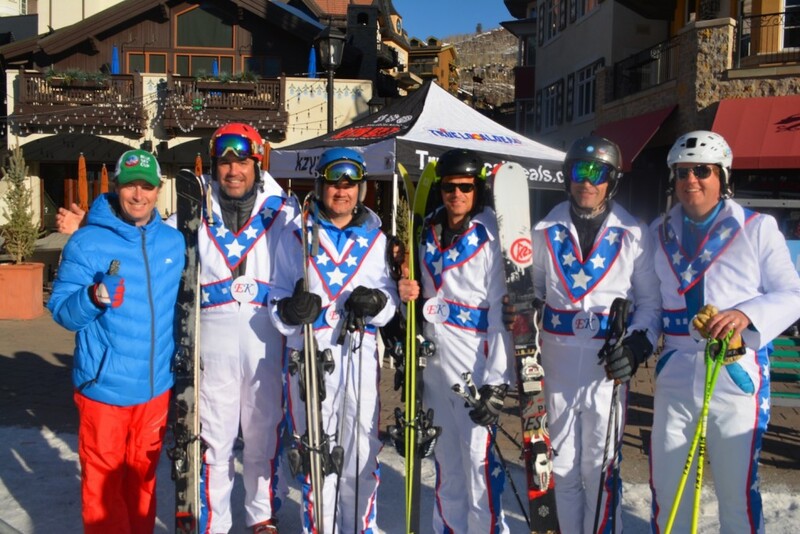 The Blue Sky Cup will be held on Friday, February 9th in Vail, Colorado. Tickets can be purchased at BlueSkyCup.ski. Follow @BlueSkyCup on Twitter and Instagram for the latest updates.